If a trip to the Grand Canyon is not on your bucket list or, you don't plan to go anytime soon, this painting would be a wonderful addition to your collection. 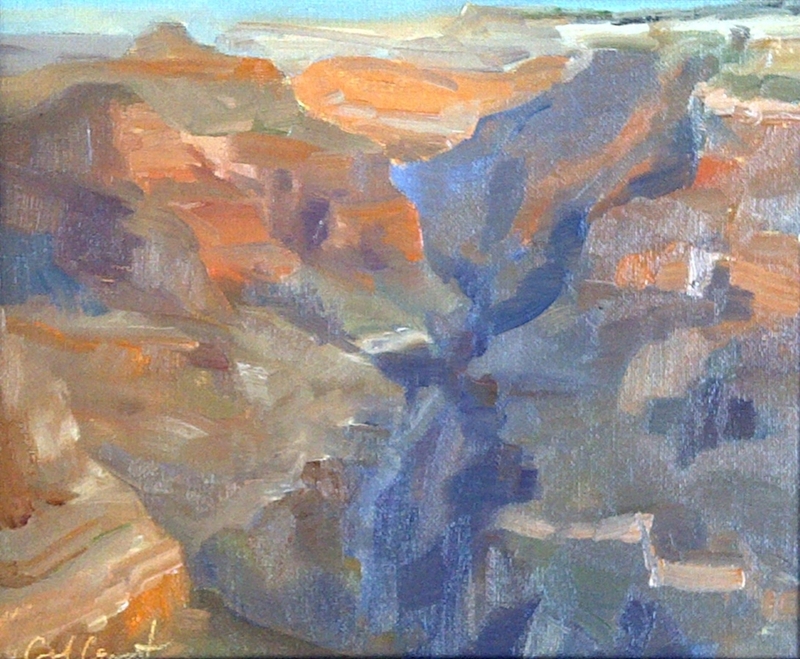 I literally perched my seat and canvas right at the rim of the canyon in the early morning, just after sunrise. So overwhelming are the colors and the beauty, any painter is humbled by the task of capturing a fleeting impression. A true highlight of my artistic career!